A plush and welcoming hotel located close to a private beach, Karmir Resort & Spa offers all-inclusive packages. The guests staying here can visit the Dinopark, Likya Yolu trail and Kemer Turkiz Marina, all close by, for the entertainment of their families and kids. 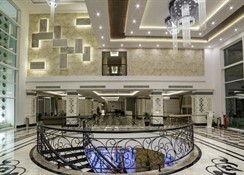 Karmir Resort & Spa offers extensive spa facilities such as sauna, hot tub, Turkish bath and other therapeutic massages. 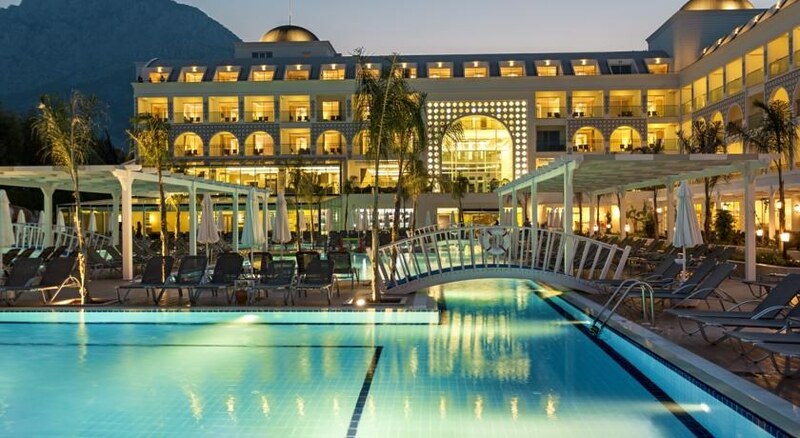 Karmir Resort & Spa is one of the most sought after hotels by tourists because of its impressive outer façade and lots of activities offered for entertainment. This resort is just 90 meters away from its private beach. It is a sophisticated property located 2 km from the famous Dinopark theme park. Guests can also visit the Likya Yolu Trail at 5km from here and the Kemer Turkiz Marina at 8 km from here. The town center is located at a distance of 9 km from here. The Antalya City Centre is at a distance of 30 km approx. The best way to reach the property via air is by Antalya Airport located at 35.7 km from here. 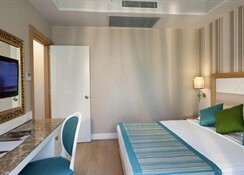 The rooms here feature wooden flooring with colorful wall décor. 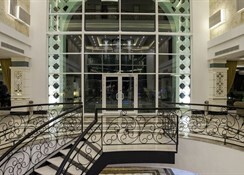 The chic and elegant rooms offer free Wi-Fi facilities. Guests can find flat-screen TVs, balconies and terraces in the rooms with either sea or mountain views. There are family rooms available here and the suites offer separate sitting areas. The hotel has 9 restaurants and bars. 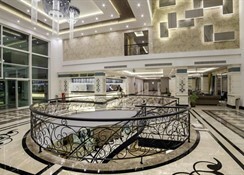 Guests can sample a wide range of Turkish and international cuisines here. There are many a la carte restaurants as well as buffet restaurants here. There is a poolside snack bar, patisserie and ice-cream stands. For the health conscious, there are health buffets and children’s buffets too. The resort has indoor and outdoor pools. 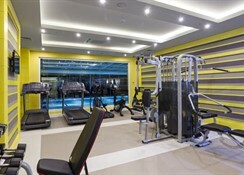 The streamlined spa centre here is equipped with a fitness centre and a sauna. Guests can also avail a Turkish bath. There are therapeutic massages offered. The hotel staff organizes for live entertainment in the evenings. There are other activities offers such as table tennis, darts and billiards too. Guests can also polish their tennis skills at the tennis court here. My Husband and I had a fabulous time the staff were so helpful and attentive. The food was lovely and the Hotel was lovely. We all had a lively time.Hotel was a bit small but friendly.